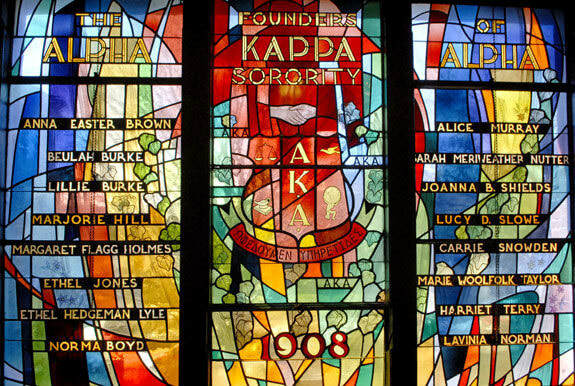 Founded on the campus of Howard University in Washington, DC in 1908, Alpha Kappa Alpha Sorority is the oldest Greek-letter organization established by African American college-trained women. The vision was conceived by Ethel Hedgeman Lyle. She viewed the Sorority as an instrument for enriching the social and intellectual aspects of collegiate life by providing mental stimulation and sisterhood. Through the years, however, Alpha Kappa Alpha’s function has become more complex. As a perpetual body in 1913 with the incorporation, Alpha Kappa Alpha gradually branched out and became the channel through which selected college-trained women could form bonds and by serving the community. Alpha Kappa Alpha Sorority, Incorporated is based on the principles of sisterhood, scholarship and service to all mankind. The goals of its program activities center on significant issues in families, communities, political and global issues. Alpha Kappa Alpha has grown through the years to become an international organization with a substantial membership. Membership in our organization consists of women of distinction and of exemplary character. These women excel in all areas of life and work closely with the community. The vision of twenty pearls has spanned into an international organization with over 200,000 pearls and counting.